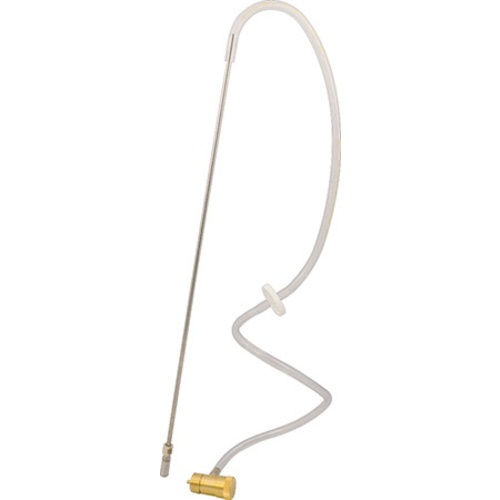 Oxygenate your wort like the pros with the OxyWand Oxygenation kit! Insert the oxygenation wand into your fermenter and pump in thousands of microscopic oxygen bubbles for 1-2 minutes to improve the health of your yeast. Healthy yeast produce amazing flavors and have the stamina to completely finish fermentation. That is not the only reason yeast love the OxyWand™. Yeast hate to compete with bacteria and you hate to drink them. Sintered stainless stones are made of tightly compressed stainless steel powder to create a porous block through which oxygen can flow. This micro maze is also the perfect environment for bacteria to live in after the stone has been used once in wort. That is why we love to boil our stones prior to use. 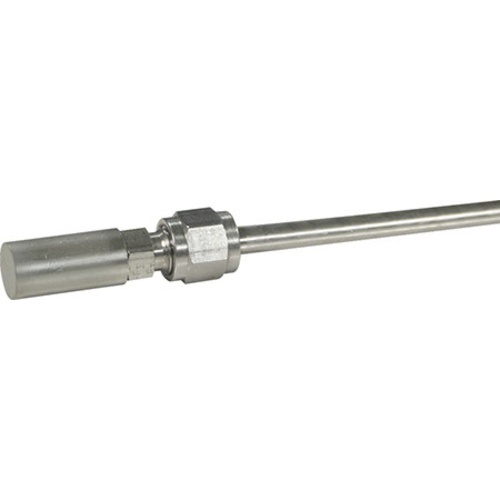 The stone on the OxyWand™ is connected via a 1/4" flare fitting and can easily be removed and cleaned after use and then boiled before your next brew day. This OxyWand™ Oxygenation kit comes complete with adjustable brass oxygen regulator, Sanitary air filter, 4 ft of tubing, Instructions, and a 26" long 0.5 Micron OxyWand™. The advantage of using compressed oxygen to oxygenate is speed - you can oxygenate your wort in 60 seconds as opposed to 30-120 minutes with aeration. 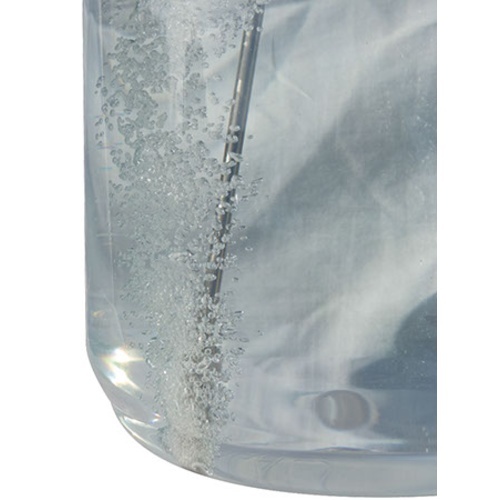 This .5 micron stone can only be used with compressed oxygen because an aeration pump does not supply enough pressure. If you are looking for an Oxywand to use with aeration pumps please see the 2 micron version. I want to see if this improves my fermentation. It has a longer wand than the competition. I've been learning some new tricks from a local, award winning home brewer and oxygenating the wort made a huge difference for his beer. To avoid stalled ferm and acetaldehyde. Ordered this a simple and clean way to get O2 in wort. Good reviews, and has inline filter already. Improved yeast health and placement control of wand. I preferred the steel wand over the hose because I want to control where I position my stone in the wort. 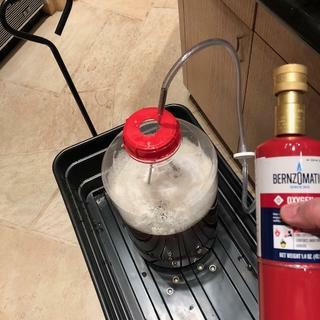 Also this allows me to connect to the bernzomatic oxygen bottle that I can get at the hardware store. Will be for oxygenating in the fermenter. Recommended by a friend to facilitate my fermentation processes - Beer, Mead, Kombucha, Wine? For a long time I've whipped my wort with a large commercial whisk to oxygenate before pitching. I understand this may have a negative effect on head retention and still doesn't optimally oxygenate. The wand will improve my yeast performance, save time and possibly improve head retention. Yay! This is a very good price for an oxygenation kit. I want to make better beer. And this kit is going to help make my yeast happy and healthy which means better end results. 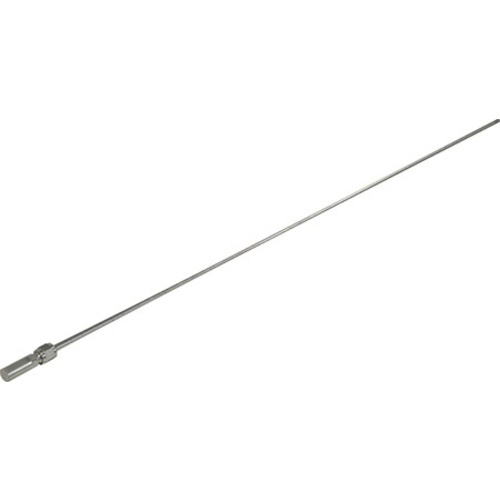 Plus, the stainless steel wand offers a lifelong product that can be easily sanitized. What is the inside diameter of the tubing? BEST ANSWER: Regulator to sanitary filter is 3/16 ID and sanitary filter to wand is 1/4 ID. This is a great kit. The long wand makes it easy to oxygenate wort in a conical fermenter. The tubing came with the air filter pre-installed. I remove the O2 canister after each use to prevent any possible slow leaks. Does What Its Supposed To Do! The OxyWand comes complete with everything you need (except the oxyegn) to fully aerate your beer. So far I've used it twice. Seems to help in activating the yeast. Highly recommend. Now I'm fermenting to the full extent of the yeast's abilities. Hitting target ABV. I had no idea how important this was until I did it. Great Tool- a must for yeast health! Hard to disassemble for cleaning. The tube between the air filter should be sanitized each time, but it's hard to take apart. I have used oxygenation systems before and this one worked exactly as advertised. It is also easy to clean. And...it was a very good value. Used for the first time. Fermentation started quickly and lasted much longer then ever before. Will be kegging and will give an update if it made a difference in the taste. As a first time user of oxygenators for wort, I can say with confidence that I will definitely use this item again and again. It it well made and very easy to use. Unfortunately, I have to wait to see and taste the results. Works as planned. Add disposable tank from Home Depot/Lowes and oxygenate your post boil wort to make happy yeast. Bought this for my hubby for Christmas, at his request. He loves it and can't live without it now. Feed your yeast. One of the easiest and efficient methods I have found. This product will bring your brewing and fermentation to a new level. I made my normal 2,000L starter, aerated my wort for 30 seconds and pitched the yeast. I figured fermentation would start a little bit earlier than before, but I was surprised when 4 hours later fermentation had begun and the next morning it was off-gassing harder than it ever has. It has always taken 24-36 hours to begin and off-gassing was never like this. The only change was aerating with pure O-2. Get this setup and you won't be disappointed. Happy Brewing!!! I've used this wand with my last four batches. It is amazing how much more vigorous my fermentation is after using the OxyWand instead of shaking for five minutes. I will never go back to shaking. Excellent product. I've been brewing for a couple of years now and was concerned that my beers were finishing with a higher gravity than expected. I decided that my method of oxygenation was inadequate and my yeast were pooping out too early. My setup basically involved a siphon aerator attached to some tubing that splashed the wort while transferring to the fermenter. I bought the oxywand and used it for the first time a week ago. This product was easy to sterilize and use. The stone came off without a problem for sterilization although the gasket is pretty small so you should take care not to lose it. When I used it I 'stirred' the wand a bit to make sure all of the wort was getting oxygen. I had some bubbling in my airlock a few hours after pitching the yeast and a solid layer of krausen (about an inch) less than 12 hours after pitching. I'll post an update in a couple weeks to see what my gravity ended up as but this wand appears to be working as expected. I considered getting the cheaper setup with the black tubing but was concerned I wouldn't be able to tell if the stone was at the bottom of the fermenter or not. For $5 more this solved that problem. This is an awesome product and if you aren't aerating your wort then I highly recommend adding this to your brewday setup.